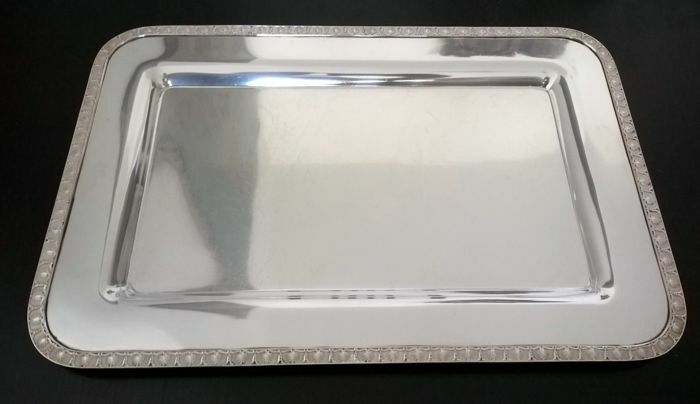 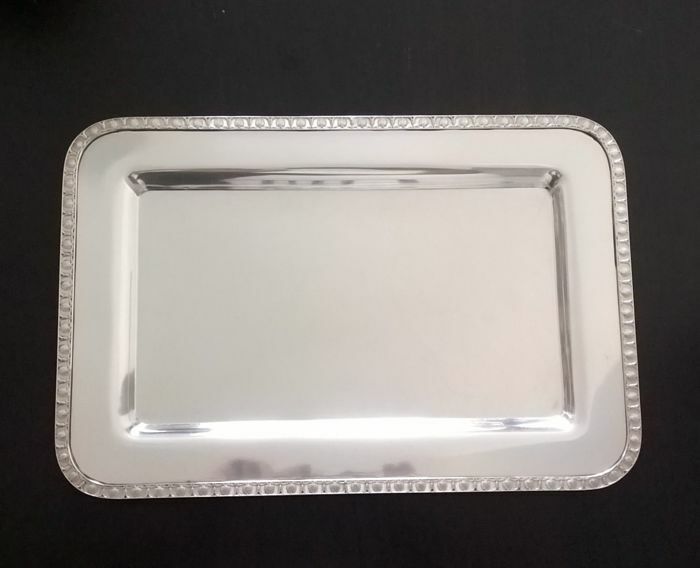 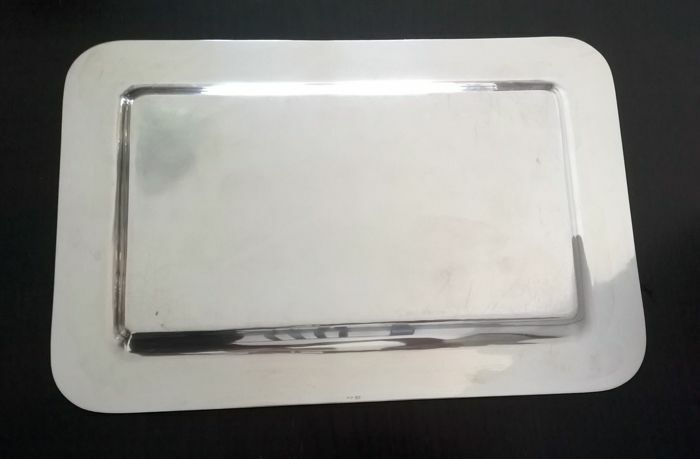 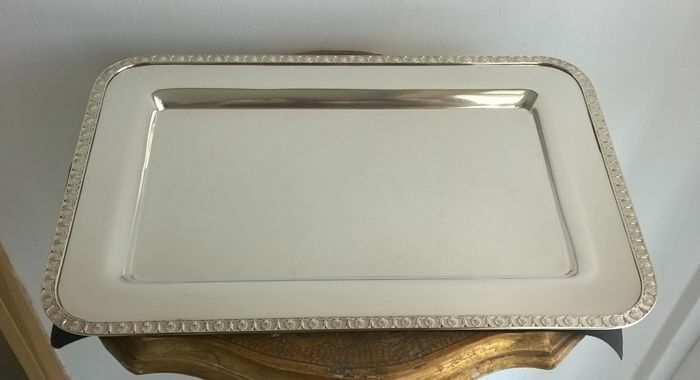 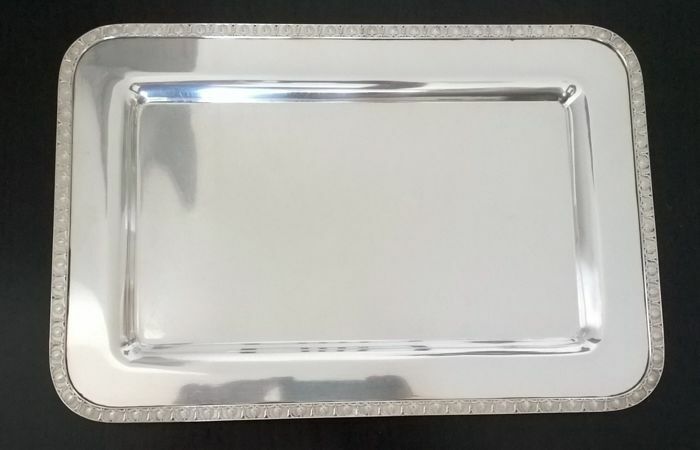 Fine antique Tray in silver 800, entirely handmade by master silversmiths in Lombardy (Northern Italy) at the beginning of the 20th century. 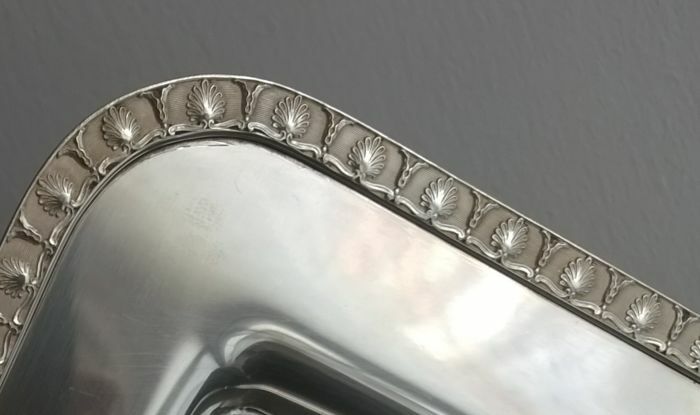 Its edge is chiselled and decorated with a palmette motif, realised with great attention to the smallest detail. 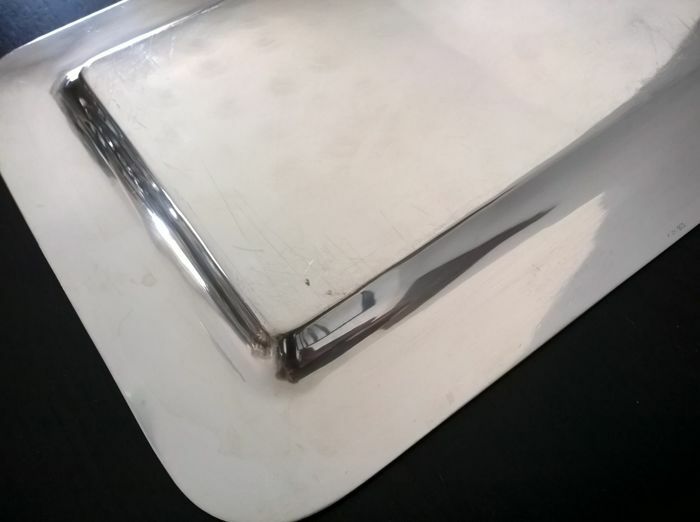 No stamps nor dents, just some traces of ageing. 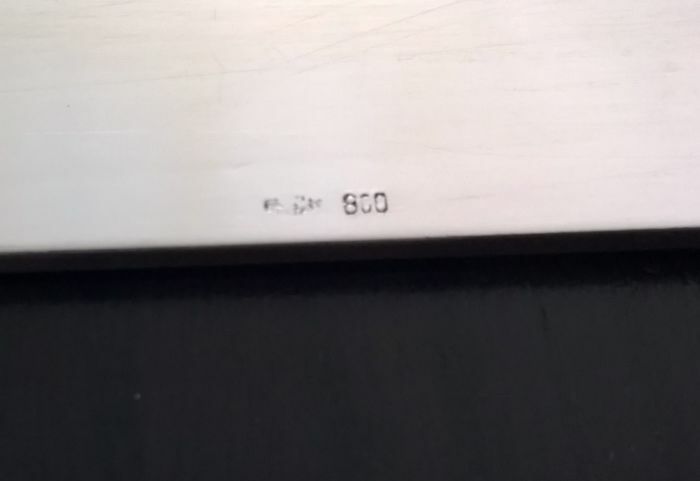 Silver hallmark: 800 not outlined. 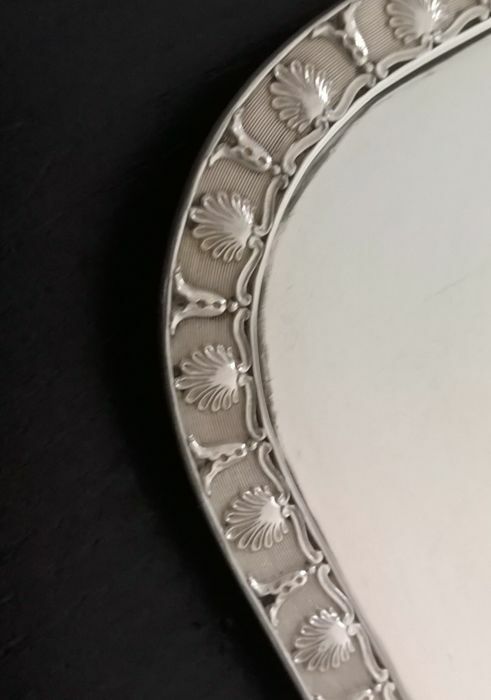 Silversmith’s hallmark: unreadable, likely from a silversmith of Milan.